The fourth time is the charm for the always positive, always uplifting Sanctus Real. We Need Each Other is more than just the band’s best release; it is one of the most melodic Christian pop albums to come along in quite some time. 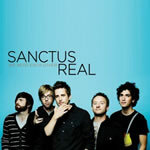 Radio has always been all over Sanctus Real, and this hook-filled hit fest will be no exception. The album opens strong with the rocker “Turn On The Lights,” which immediately hits the listener with an amazingly catchy guitar riff that will seer itself into the brain. The band flows effortlessly between these rocking riffs, contemporary pop and modern worship. The stunning production and the band’s flawless performance permeate this release from start to finish. The title track is a brilliantly written pop anthem that will move you and have you singing along. This is one of those songs that does not come along very often, with an unforgettable melody and a chorus that will put this at the top of your “Most Played” list. The only thing more powerful than the music and the hooks on We Need Each Other is the message. Front man Matt Hammitt and the band have come a long way as songwriters, and the lyrics are powerful and mature. The song “Sing,” yet another smash anthem, brings the overall theme the band is trying to convey to light saying, “Sing, oh, sing with one voice/How sweet it will be when we sing/One Church under one King, and we will sing!” The message here is clear: as Christians and as people we need each other. The Church needs to come together as one to unite in Christ, and we definitely need artists like Sanctus Real to help convey this message of unity through artful pop hooks and heartfelt anthems. One of the biggest-selling artists in the faith community, Kirk Franklin is a veritable ringmaster who continually surrounds himself with the best and the brightest of all musical genres. As such, he easily crosses boundaries of style and classification—and his latest opus, The Fight of My Life, is no exception. The album is chock-full of great songs and great performances. The anthem “Declaration (This Is It! ),” built around the original Kenny Loggins classic “This Is It,” is a fighter’s proclamation that he will survive anything the world throws at him. The beat-driven romp “I Like Me,” with guest rapper Da’ T.R.U.T.H., is a godly celebration of self, despite all our flaws—because God loves us best. The smooth R&B track “Chains,” showcasing the dynamic vocals of Melonie Daniels, Nikki Ross and Sheri Jones-Moffett, cries out to Jesus for rescue from the things that would steal our joy. Song by song, Franklin peels away the hurts of life in a fallen world. All along the way, he calls on the Lord for love and for strength and celebrates the hope available in Christ. 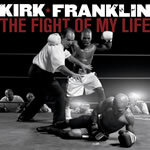 The Fight of My Life is about the fights we all face—and a compelling reminder that God is always in our corner. Think of the career trajectory of Switchfoot: If you need a reference point for the musical progress of The Afters from the band’s debut to the follow-up, Never Going Back To OK, that’s a good place to start. Just as Jon Foreman & Co. moved from the fun and formulaic radio rock of their early days to the creative musical force they’ve shown themselves to be, so The Afters seem to be headed in the same impressive direction. “The Secret Parade” establishes new levels of musicianship, cohesion, production and experimentation from the outset. Familiar trends follow with a title track that could easily be an outtake from the debut. 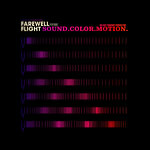 Still, “We Are The Sound” and “Falling Into Place” maintain the buoyant spirit amidst new and uncharted sonic waters. The result is an edgier band that manages to maintain secure melodic footing. The band speaks of obvious spiritual themes on Never Going Back To OK, but it’s clear there’s a musical statement being played just as loud as the lyrics. 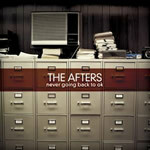 The Afters seemed to hold all the right cards after a stellar debut, and this album is better in every way. 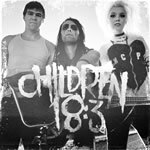 Honestly, I’ve grown rather jaded by the punk rock scene over the last five years or so, which is why I’m glad my first encounter with Children 18:3 was a promotional photo. They certainly didn’t look like any of the recent crop of pop-punk rockers—instead, the harshly-lit black & white photo showed a band that looked dredged up from the backstage of some old-school New York City punk show. Clearly, this band was something special. Far away from the smoky venues of New York, siblings David, Seth and Lee Marie Hostetter formed the three-piece Children 18:3 in central Minnesota, where they not-so-quietly honed their rock & roll skills when not working on the family farm. And what can I say? With super-energetic performances that make the songs actually fun to listen to, and influences from East Coast to West Coast, old-school to new wave —I can even forgive the one song that borderlines on ska—they rock. The melodies are catchy, and the vocals are bold, with great interplay between the male and female voices, as the singing duties are shared by David and Lee Marie. Standout songs include “LCM,” “Homemade Valentine” and “Ditches.” But really, if you like punk, this is an album not to be missed. 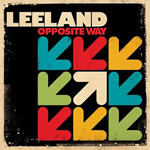 Listening to Leeland’s Opposite Way, it’s hard to choose which stands out most: front man Leeland Mooring’s unhampered vocals, the band’s strong collective songwriting, or the blasts of energy from beginning to end. Utilizing the talent ambitiously, producer Matt Bronleewe (Michael W. Smith, Natalie Imbruglia) guides the men of Leeland over the sophomore slump to a stellar second release. After selling more than 100,000 copies of its 2006 debut, and garnering GRAMMY® and Dove Award nominations, Leeland could have easily cozied up with more accommodating subject matter attempting a Top 40 break-in, a typical route for a band with such mainstream musical sensibility. Instead, taking a lead from the album’s title track, the rock quintet solidifies its firm worship element with a call to live out authenticated faith. A list of obvious influences mark Opposite Way, but none overt enough to warrant a distinguished comparison. In fact, it’s rare for something so accessible to be quite so advanced. Specific lyrically and progressive musically, Opposite Way is effective top to bottom. Leeland may be a young band, but they possess the raw talent and energy to create something truly original for this industry. 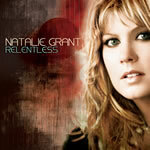 Natalie Grant’s latest album, Relentless, is a reminder why she wears the crown of top female vocalist two years running. From the opening strains of the first track to the achingly simple refrain of the last, this 12-song power-packed emotional roller-coaster succeeds at making familiar ideas fresh, compelling and emotive. The pure emotion with which Grant delivers each song indicates she is coming more into her own, not only as an artist, but as a woman, a mother and a daughter of God. “In Better Hands” captures the essence of a soul lost in self-doubt, and yet saved in the power and sovereignty of a Savior. Another standout presentation of compelling, yet familiar language and gripping delivery lies in “Our Hope Endures”; Grant should be commended for becoming a vessel of the power of Christ to look on human frailty and folly and shine through with the power of an all-sufficient King. With a solid package of truth, soul, incredible musicianship and production that is at times overbearing, but overall, well-balanced, Relentless earns a spot as an important contribution to the musical world and the body of Christ. Travelling the country for months at a time without agents or the support of a label, this Pennsylvanian do-it-yourself group puts all the money it makes from touring back into the band. They are obsessed with making music. 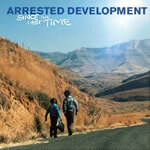 And it shows: After three self-released EPs, Sound. Color. Motion. is hard to get sick of. The band’s tight musicianship—undoubtedly a result of its intense touring schedule—is evident in every track. Each member’s contribution builds on and complements that of the others, a cohesion essential to the group’s layered complexities. The result is a relaxed, steady build well aligned with the band’s lyrical themes. From relationship complications to struggles with alcoholism to disillusionment with the American way of life, the lyrics aren’t necessarily uplifting. Where you won’t find Christian buzz words, you’ll find an honest examination of fallen human life in all its complexity. Yet, behind it all is a feeling of hope one can only assume stems from the assurance that, despite it all, God is in control. Simply put, Sound. Color. Motion. is a beautiful album. 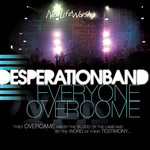 Desperation Band (featuring worship leaders/songwriters Jared Anderson, Jon Egan and Lenn Packiam) captures live worship on perhaps its best effort to date with Everyone Overcome. Past efforts served their purpose and audience well, but this project propels the worship outfit to another level. The sound of Everyone Overcome is still characteristic Desperation with extra guitar, turntables and crowd participation. But the more indie rock grooves and ethereal compositions give the songs and the record a more personal, authentic atmosphere. It makes for a very appropriate comparison to Hillsong United. The joyous message and fresh beat of “Counting on God” is a terrific discovery, while the experience of “Overcome” into “Maker of Heaven” launches the record in expansive live worship. The song craftsmanship on Everyone Overcome covers a broad scope of worship styles. Anderson, Egan and Packiam (and anyone else involved in songwriting) hit their stride, offering upbeat, convincing words that speak to unwavering confidence in God. Desperation Band, its worship leaders and the congregation at New Life Church in Colorado Springs faced startling, tragic moments this past year. The triumphant words and sounds of Everyone Overcome are an example of their spirit and decision to be God’s voice of joy to this generation. 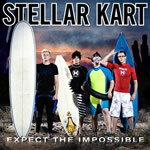 Though Stellar Kart’s brand of mall punk might not possess enough punches to keep the genre’s purists coming back for more, the band consistently connects with the youth group crowd. On its third effort, Expect the Impossible (again featuring Ian Eskelin as producer), the players incorporate additional angles of pop, modern rock and upbeat punk. The result is a palatable, though in many cases, still too simple sonic and spiritual outpouring. 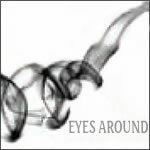 Opening cut “Innocent” and “Eyes” are examples of noticeable growth, anchored by synth-slapped dance grooves reminiscent of ASU, Fountains of Wayne and Motion City Soundtrack. Yet, there are still several examples of generics, most glaringly the power ballad “Jesus Loves You,” which may intend to spread an evangelistic message, but gets lost in cheesy delivery (not to mention recycling a similar formula as 2007’s Dove Awardwinning single “Me and Jesus”). The power pop streaked “Sunshine” abounds with palatable harmonies, but it’s a little too perky for its own good. Luckily, the escalating “Letters” brings up the rear with a more memorable flare (addressing the topic of loneliness over emotional drum rolls and orchestration), but still can’t provide enough steam to make Stellar Kart’s latest a full step forward. 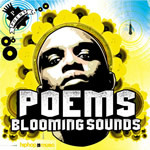 Poems (formerly Sharlock Poems) of rap mainstay L.A. Symphony, known for his distinctive baritone and metaphor-heavy style, has become a hotly sought after guest MC on a variety of other artists’ projects. Returning the favor, some of those artists have offered the boost in music and production Poems needed for Blooming Sounds to surpass his uneven solo debut, The Love Movement. On the tracks “Come On” and “Love,” general market faves The Procussions offer their unique jazz-driven, bassthrobbing West Coast wall of sound as the ideal counterpoint to Poems’ razor sharp wit. Critics’ darling Ohmega Watts teams ups with Poems on the hip-hop ode “The Elements”—an eruption of high speed break beats, drumrolls and organ hits that will give break dancers fits of joy. Throughout Sounds, Poems draws endlessly from his faith, his difficult youth, his social conscious and his staunch passion for artistry. While mainstream hip-hop originality and sales have dipped, Blooming Sounds offers the kind of creative metaphor play and shifting sonic textures (light jazz guitars, operatic soprano vocals, old-school boom bap) that epitomize a banner year in the evolution of Christian rap. 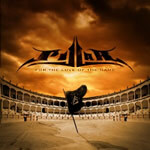 Contemporary Christian music and ’80s era metal might seem like strange bedfellows, but one listen to Pillar’s For the Love of the Game will erase those notions. This hook-heavy disc features a slew of high-energy rock anthems, a few power ballads and just enough of the band’s old raprock stylings thrown in to keep older fans happy. While the CD awakens memories of a musical time gone by, it also pays homage to the world of contemporary Christian music. The members of Pillar are unabashedly unashamed of their place in the faith-based music industry, and they aren’t afraid to wear their faith on their sleeves as they call on listeners to do the same. This is particularly evident in the title track as well as songs like “State of Emergency” and “Get Back.” Meanwhile, “Turn it Up” provides us with a “ccm” version of “Name That Tune,” featuring lines from 34 different artists, ranging from Michael W. Smith to Disciple. With For the Love of the Game, Pillar and producer Travis Wyrick (Disciple) have created an album that could generate plenty of hits for radio and will have you singing along loudly while pumping your fist in the air. 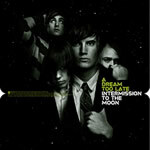 After touring with other Tooth & Nail bands (Ruth, The Send, Run Kid Run) A Dream Too Late has released its debut for the label, Intermission to the Moon. Initially, the listener is struck with a feeling of familiarity; however, with subsequent listens, one discovers there is more to be had on the band’s effort. From the rock-steady “Be Honest” and the moody pop of “14th and Knott” to the head-bopping “Trendsetter,” A Dream Too Late has concocted a lush brand of alt-pop that slathers a layer of dreamy guitars and/or keyboards over a bed of solid rock rhythms, matched with effective harmonies. Lyrically, the brash “Intermission to the Moon” is a sober examination of modern culture. “Be Honest” boldly dissects the games often played in relationships. “Trendsetter” confronts the high school hero who thinks he’s gained the whole world—and doesn’t realize he’s lost his soul (“Take a look at yourself/All that’s left is a ghost”). Though at times repetitive and overly reminiscent of other bands, A Dream Too Late has crafted a fine debut. Despite its few shortcomings, Intermission to the Moon sets the band up for bigger things to come. 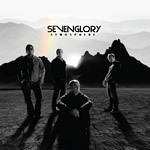 Recently the band Sevenglory teamed up with World Vision, becoming what front man Fred Butson terms “something bigger than ourselves”…a theme wrought carefully throughout their latest album, Atmosphere. After the quietly released 2006 debut Over the Rooftops, the trio tightened up their instrumentation, added guitarist Josh Parsons and polished their songwriting. The result? Better, more authentic rock, with a running theme of hopefulness. The band succeeds with “The Hope” where Butson’s remarkably crisp vocals (similar to the soothing vibrados of Phil Wickham) mesh well with the simple instrumentation. “The Best is Yet to Come” features a catchy melody, an original drum backbeat, and a falsetto chorus that is right on pitch. “Show me the Light” offers a glimmer of creativity with the chorus, “Show me the light/Burning from the inside/What good is a light that we hide?” Unfortunately, the peppy radio single “Just Me,” co-written with pop sensation Brandon Heath, suffers an unoriginal tune and lyrics. Atmosphere holds definite promise for the quartet, just not enough to ebb it out of mediocrity into greatness. Once the band starts to carve out a unique niche, they will certainly offer an atmosphere of hope for fans everywhere. Alabama’s Eyes Around has crafted a passionate and intense European-influenced rock & roll album that sonically screams guitars, guitars, guitars. The first five tracks will undoubtedly grab the listener’s attention, not just because of the guitars—but also because of the strength and versatility of vocalist Michael Donahue. “Right As Rain” showcases how this band can tap into the emotions that drive us to change: “A change is coming, so get ready for it/It’s not like we have never been told/So say goodbye to yesterday/It’s never gonna be the same.” It is soon evident that this band is looking to not just rock you, but also inspire you. Given the length of time, it’s a question that begs an answer. And Speech & Co. give just that on the lead title track, catching the audience up on their travails in musical form. Throughout Last Time, the group continues to preach on the need for cultural and spiritual change (“It’s Time”), speak words of hope (“Heaven” and “Miracles”) and simply have a good time (“Down and Dirty”). 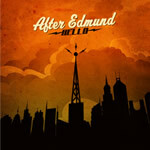 Back in June 2007, CCM Magazine gave the After Edmund debut Hello (Slanted) a four-star review—but, after we had gone to press, the album’s release date was pushed back to 2008. Now that there’s an actual record available for actual sale, we wanted to revisit that review just to make sure you didn’t miss out . …Hello conflates alternative, indie and electronica sensibilities into a hypnotic, bohemian mix. The aural amalgam is not necessarily unheard of…but it’s nonetheless refreshing, perhaps even foreign, in the faith-based rock landscape. From the pulsating dancerock of “Fighting for Your Heart” to the tip-roaring “Tears,” After Edmund is all things to all people without sacrificing cohesion. They can inject orchestral urgency to the frenetic “Clouds” or slam the cathartic “Thank God” with synth waves and still keep a straight rock & roll face. Hello is groundbreaking, indeed. Highly recommended.